You want to win 20 000$. You can with this contest. You say : « Super! I’m going to draw a monster on Painter, Photoshop and ZBrush… In fact, no! This’s a contest for developpers. You have to develop an app that uses the WILL Sdk by Wacom (digital ink) and to combine that with iOS or Android if you want. 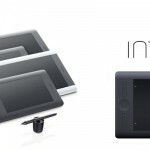 To use Will SDK you need to create an account on Wacom website ( link ).